Dive in to the best food and treats for your pet! 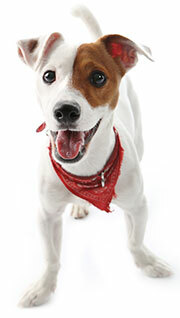 Suncoast Pets in Panama City Beach and Miramar Beach, Florida stocks a wide variety of supplies for your special pet. From dogs and cats to fish and reptiles, we’ve got you covered. And if needed, we can order upon request just about anything your pet may want! We take pride in supplying you with the best selection and seeing our customers, as well as their pets, happy. We are just like you – pet lovers. We only sell the products that we’d want our own pets to have and take extra care in ordering and stocking our store with the best. If you can’t make it in, we still want to hear from you! Check us out on Facebook for specials, new arrivals, Q&A with customers and more! Only the best dog and cat food! Especially with the new renovations and the consistent upgrading that I have noticed, this is a wonderful pet store and I highly recommend it. Not to mention that it has an incredibly big selection of supplies. I love this place! They have just about everything including specialty items. I am a freshwater exotic shrimp and planted aquarium hobbyist, the stuff I am looking for can not be found at Petsmart or other big chain pet stores. It is nice to have a local place to check out some new stuff. Just called and spoke with Stan about my algae problem in my small pond. Very patient and helpful in directing me toward a solution. Good job!